This screen enables you to configure the extension. 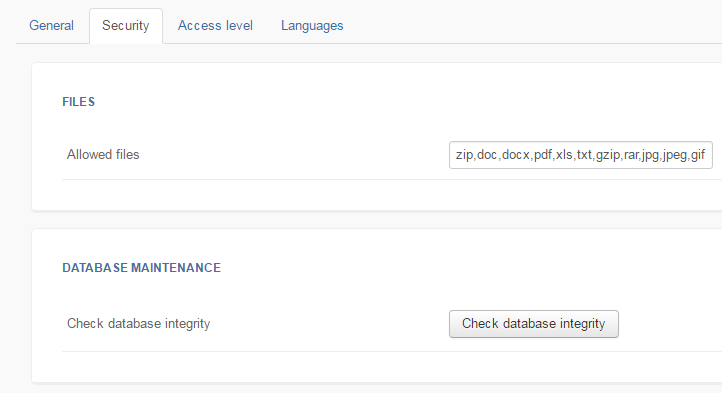 You will find a tool to easily publish / unpublish the AcyPolls plugins and add / modify the AcyPolls language files. Save : Save the configuration page and return to the requests listing. Apply : Apply the modifications and stay on the same screen. Cancel : Return to the requests listing. 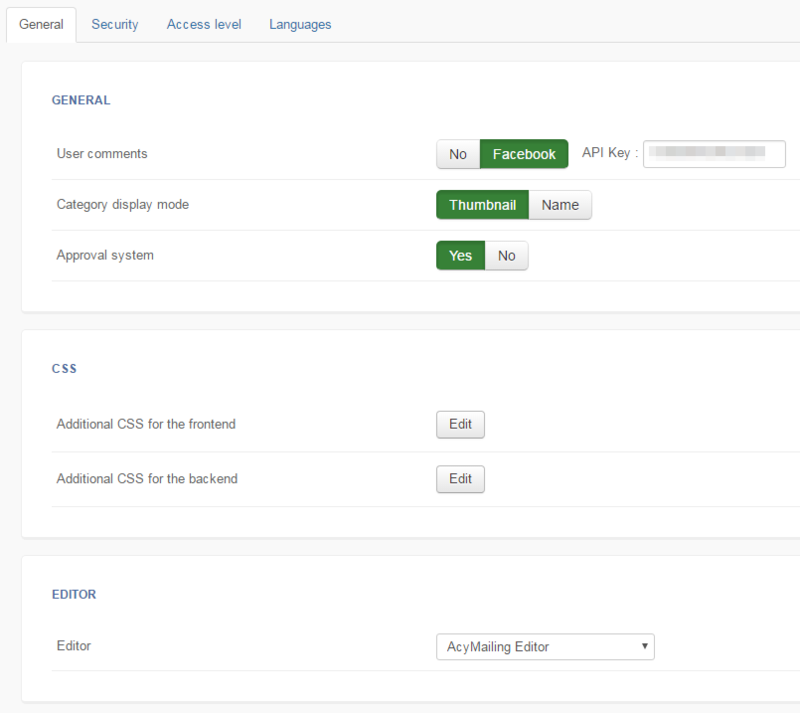 User comments: This option allows you to activate comments below detailed request pages. Additional CSS for the frontend: You can add your own CSS rules in this option to change the way AcyPolls looks like on the front-end. When using this option, the default AcyPolls CSS files are still loaded so make sure the CSS you enter overrides the default one. Check database integrity: If you click on this button, AcyPolls will perform a few tests to make sure your database structure is up to date. Thanks to this tab you can restrict the access of AcyPolls functionalities such as create requests, delete categories, configure the extension. 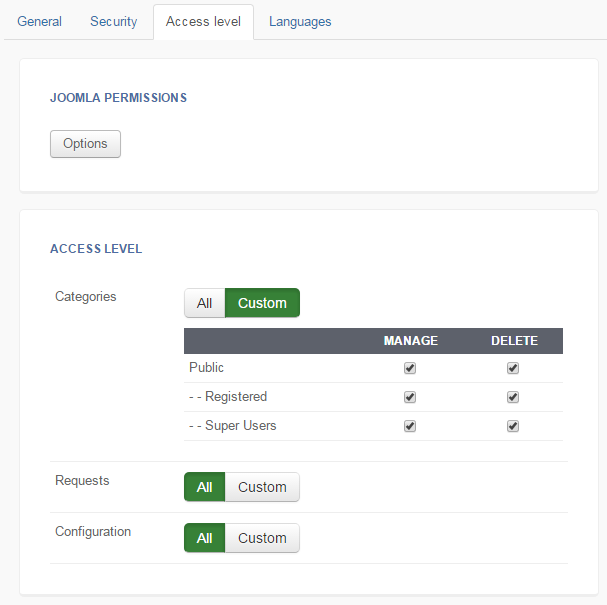 With the "options" button, you can access the Joomla ACL manager for AcyPolls. The other options are permissions handled by AcyPolls. Note that even if the "Registered" group is allowed to delete categories, as members of this group don't have access to the back-end, they won't be able to do it.